Alastair Seeley, the most successful rider in the history of the Vauxhall International North West 200 with 21 victories, will race Tyco BMWs in the Superbike and Superstock races at this year’s event on May 13-19. This will be the 38 year old’s seventh season racing under the banner of Philip and Hector Neill’s TAS Racing team and Seeley has his sights firmly set on superbike glory. “I am more motivated than ever for this year because I want to get back on the top step of the podium in the feature superbike race.” the Carrickfergus man said. Seeley won four races at last year’s North West but was narrowly beaten by his friend and fellow Carrickfergus resident, Glenn Irwin, in the feature superbike race. “It won’t be easy because there are so many riders racing at the North West now who compete in the British championship and that means they are coming to Portrush sharp, fit and with good race craft.” Seeley said. The TAS Racing team has won an incredible 26 races at the North coast event with half of those victories coming with Seeley in the saddle. “The team knows what works for me and they produce good bikes.” Seeley said. “Alastair is a huge part of the TAS Racing success story at the North West 200.” Tyco BMW boss, Phillip Neill said. 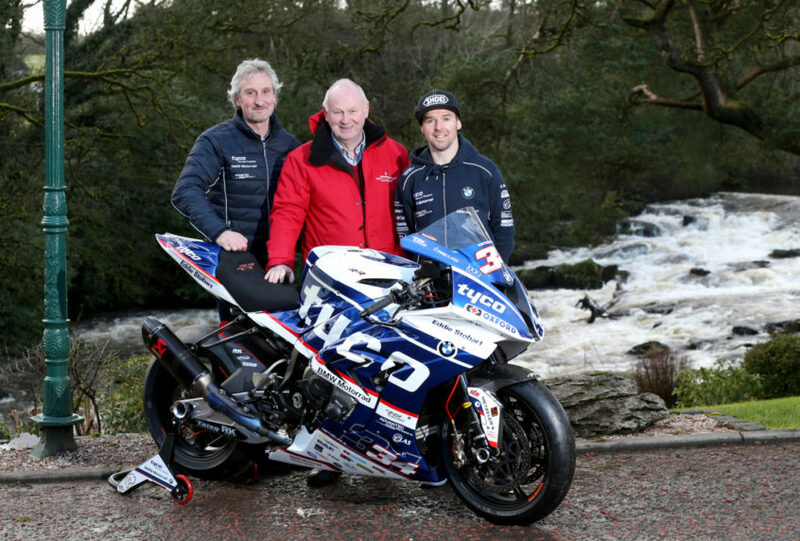 “Alastair Seeley had a phenomenal run of success at last year’s North West 200 and it is great to have him back again with Tyco BMW for 2018.” NW200 Event Director Mervyn Whyte, said. Seeley will also ride EHA Yamahas in both Supersport races at this years North West.